FAQ: When do I need "negative" artwork? 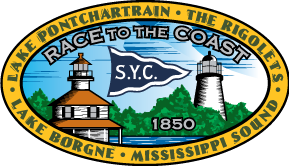 The linked PDF document explains the proper use of standard and "negative" burgee artwork. 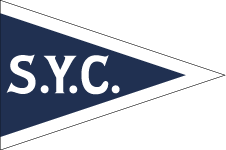 The club signal - or burgee - is decribed in the By-laws and is the basic symbol of the club and the root element of all other logos. The burgee is ALWAYS presented as a Navy (dark) field with white (light) letters and border, regardless of the surrounding background color. The burgee's colors should NEVER be inverted to appear as dark letters on a light field. This is the primary logo for the club and is used on most every official publication, document, letterhead, etc. It may appear with or without the caption, "FOUNDED 1849". 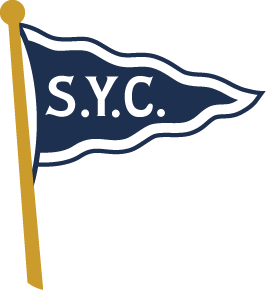 The key elements are the four "flutters" in the flag, the staff cocked back 5 degrees from vertical and the letters, "S.Y.C. ", set straight and level. To serve various needs, a version of the primary logo without a staff was created. Note that the shape of the flag's hoist (vertical edge) is NOT simply the Type 1 logo with the staff cut off. 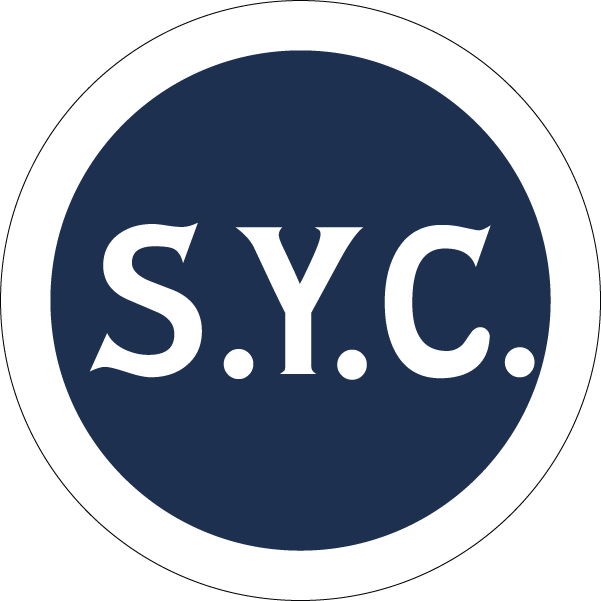 The lettering, "S.Y.C. 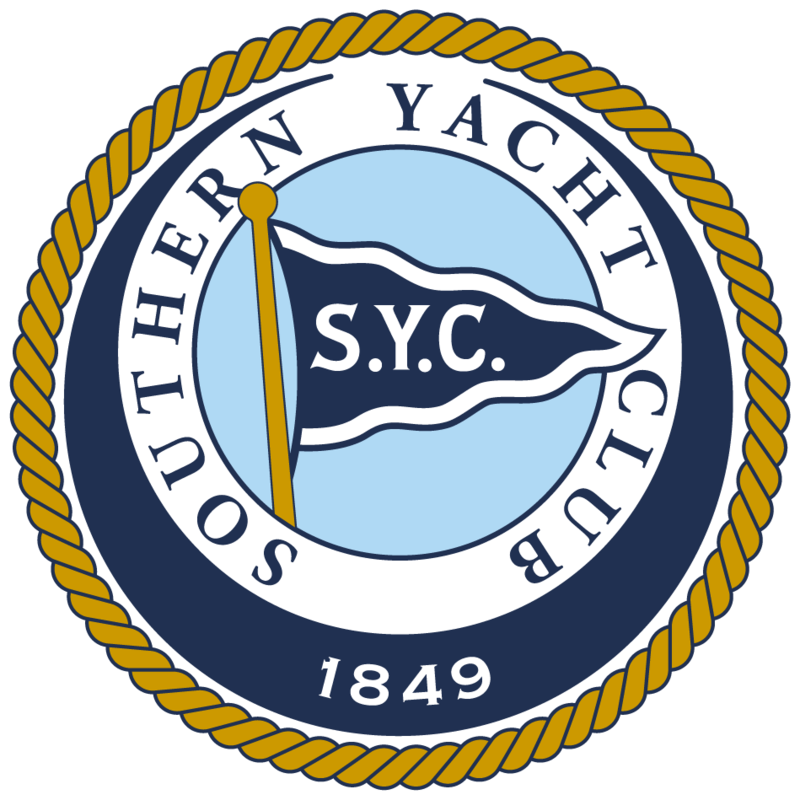 ", from the primary logo is a unique, custom design intended to be identifiable without the context of the burgee. The monogram letters may be light or dark, depending on the background. This crest design has been printed on napkins and playing cards and embossed onto brass blazer buttons. 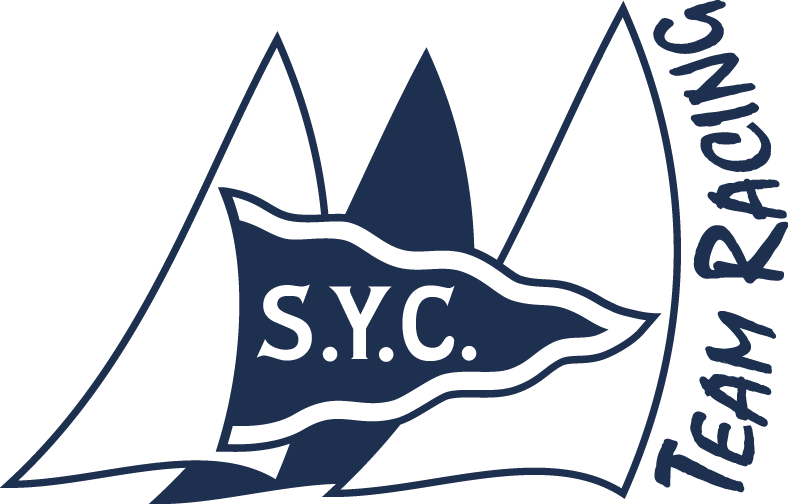 This circular adaptaion of the burgee has been used as an alternate hat pin design and a computer icon - two applications where the pennant-shaped burgee would become illegibly small.